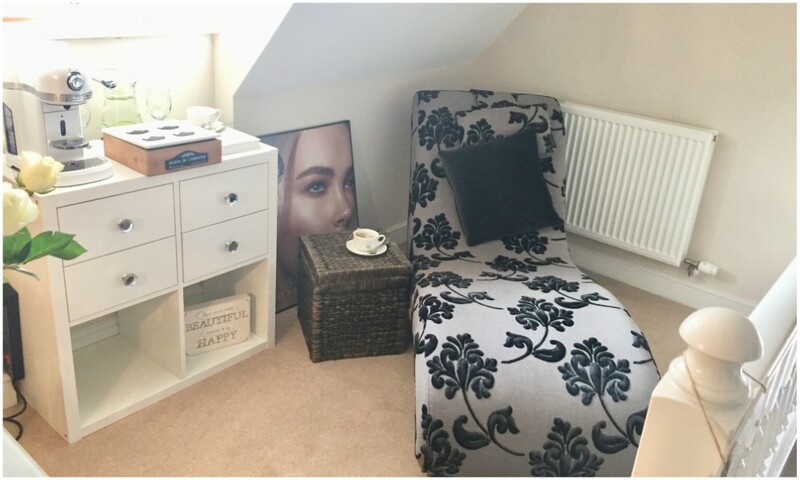 Based in Ashby-de-la-Zouch, North West Leicestershire, Andrea Simpson runs her beauty space, ‘beautiful’ from her home. 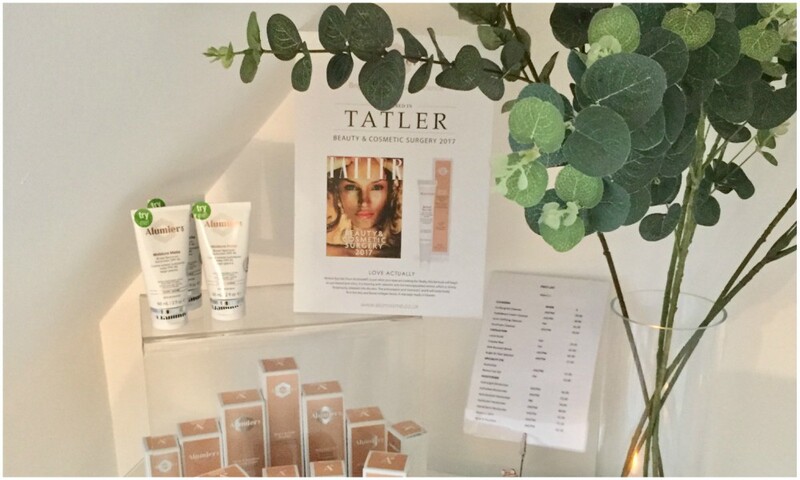 She’s been in the beauty and skincare game for nearly 20 years – most of that time she’s been a trainer and has worked with luxurious hotels you’re likely to see in Conde Nast Traveller. She’s also worked and lived all over the world including Dubai and Jamaica and has treated VIPs, celebrities and even royalty…but no she won’t reveal any names! 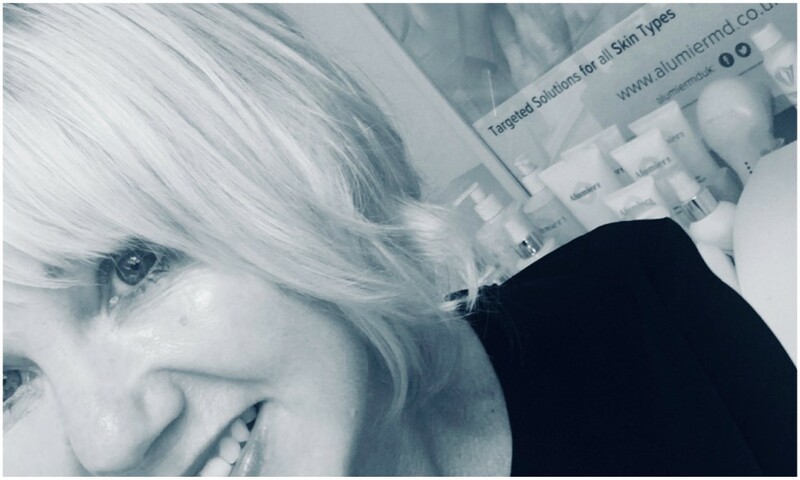 She still also works as an International Training Beauty Manager and travels to exotic locations like Grenada imparting her immense knowledge and skincare wisdom onto others. 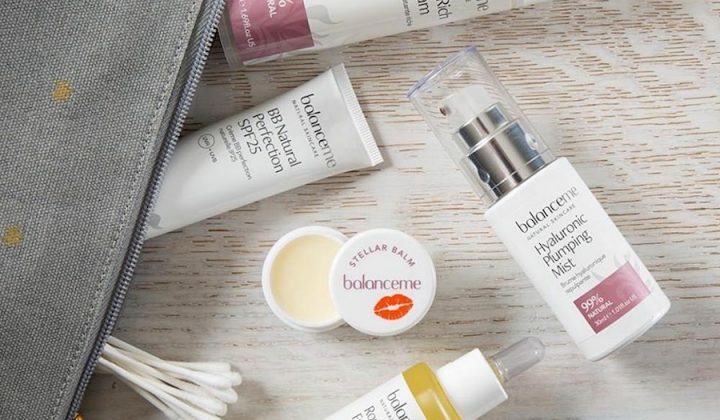 Facials and skin care is her passion and she has devoted her life to it – no really she has. 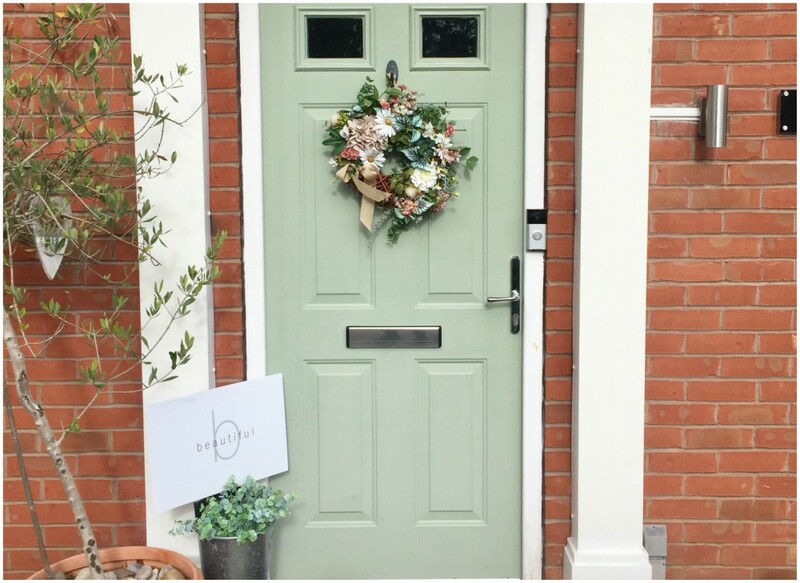 From running her own salon, she has now set up her business in her home and has applied everything she’s learned on her skincare journey to ensure it’s got a 5-star feel, from fresh flowers in the waiting area to the cosiest heated beauty bed in her salon – she’s really pulled out all the stops. I’m always a little anxious when I’m invited to try out beauty treatments in someone’s home. I have visions of a tiny room and feeling a little uncomfortable and cold but visiting Andrea, also known as the Facial Fairy, was a complete treat and quite possibly one of the best beauty experiences I have had. The delicious scent of candles was the fist thing I noticed when I walked into her home and it followed me as we entered her beauty area. On the top floor of her lovely home was a gorgeous chaise lounge where we had a little discussion about my skin and treatment. Her beauty room was an extension of her home – cosy, warm and utterly relaxing. Attention was in every detail and I noticed all the little touches of luxury; the waffle dressing gown hanging on the back of the door, cosy slippers, the little towel wrap neatly folded ready for me, the heated beauty bed (yes, heated) there was even a little ceramic dish for my jewellery. The room itself was more impressive than most beauty salons I had visited. I didn’t know if I was more excited to lie in that cosy-looking heated beauty bed (something you don’t see too often outside of London) or having the luxe facial treatment. I immediately noticed the Alumier MD products displayed in her room because I’d been wanting to try the range for quite some time. 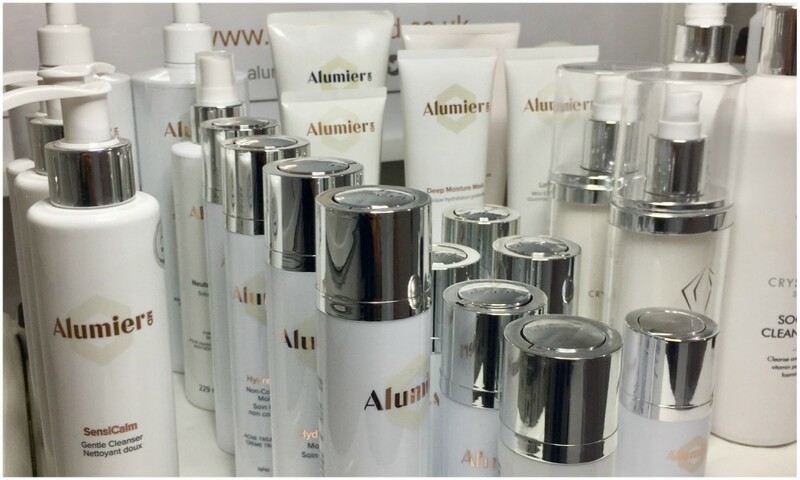 Alumier MD is a medical skin care range created by a bunch of science and skincare bods but you’ve probably never heard of the brand because you can’t buy it on the high street – it can only be prescribed by a beauty therapist so you know it means serious business. Andrea believes that each face is unique which is why she tailors her facials depending on the skins needs so I was getting the Autograph facial with a few ‘surprises’ thrown in. Andrea began by using warm peppermint mits on my feet and then used a mini pair of cymbals to signal that start of the treatment. I knew what to expect from the treatment as we’d talked through it before she started – this left me blissfully relaxed with no interruptions at all. She started by cleansing my skin with the purifying gel while at the same time using a steamer on my face, a sonic cleanser was then used (I loved the sensation of this on my skin) which gently exfoliated the skin while massaging and promoting blood circulation. I’d mentioned to Andrea that one of my key concerns was the hyper pigmentation under my eyes so she stuck the LED light therapy on too which is supposed to help with the skins rejuvenation. 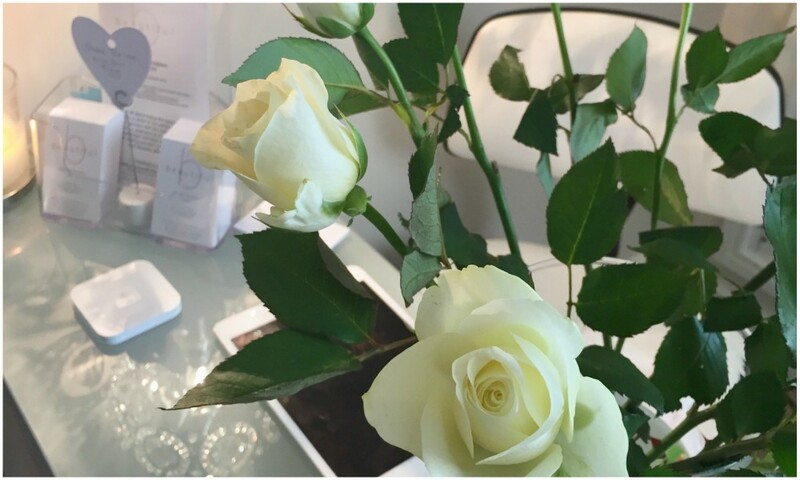 During my time with Andrea, she spoilt me with not only a facial, but a scalp massage and also used rose quartz crystals which is said to help with releasing stress. She finished off by using an eye moisturiser and facial moisturiser which felt super light. I emerged from my facial glowing and my face felt really smooth. I couldn’t see any improvement on my hyper pigmentation (cue sad face) but you wouldn’t really expect to after just one treatment. The facial aside, what I was really impressed by was the attention Andrea gave. 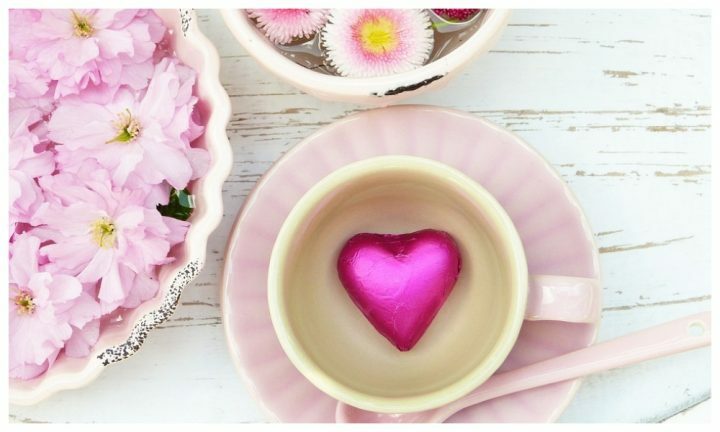 Throughout my entire time with Andrea, I felt like I was the only person that mattered – I never felt rushed, it was a very personal, peaceful and intimate experience – no phones ringing in the background, no customer chit chat – it really was ‘me time’. Fast forward a few months and I’ve invested in the Alumier MD cleanser, Intellibright Complex, Eventone Serum, I’ve even started to use Retinol (after a good pep talk with Andrea) and I’ve noticed a difference – my pigmentation marks are ‘very’ slowly fading and my skin looks a lot more radiant. Andrea offers a range of treatments but her facials start from £45. 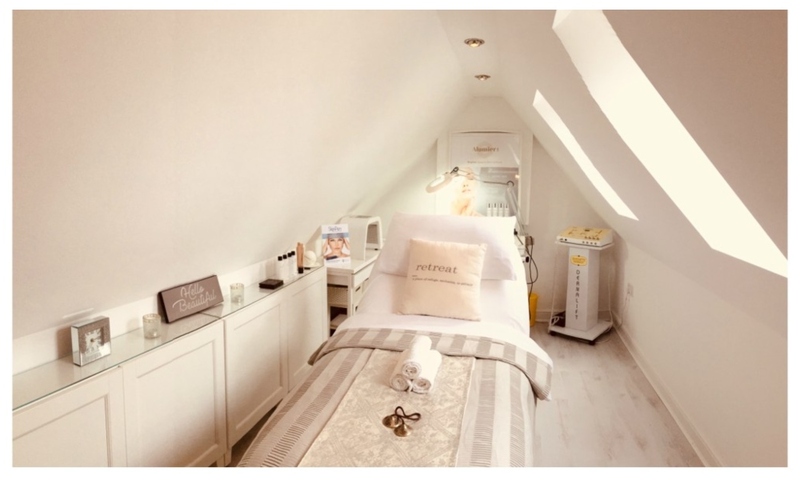 She also offers Skin Pen Precision Collagen Induction Therapy, Crystal Clear Microdermabrasion and LED Light Therapy (NASA technology) and subtle ‘finishing touches’ to compliment and enhance facials treatments such as LVL Lash Lift, HD Brows and Lash tinting and eyebrow shaping. If you fancy some serious ‘You Time’ give her a call now.